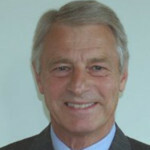 Richard is a retired Organizational Development (OD) Consultant with over 30 years experience in consulting. He provided expertise in all transformational management and strategic planning activities and had a special interest in leadership development. He has worked with large and small clients in the North America, Asia and Europe. Today he does pro – bono work for not for profit groups in Manitoba where he lives. Richard’s interest in OD issues began with the quality movement in the mid 80’s when he was the Chairman of a not for profit electronics incubator facility. This gave him an inside view of the impact OD concepts could have on a workforce. Since then he has studied all aspects of organizational development from assessment to succession planning and systems thinking. Working with HR departments and Leadership programs to help put the ideas into practice. He has conducted strategic planning facilitation for companies in Europe, Asia and North America. During his career Richard worked for several consulting companies. He has been a Principal consultant with Linkage Inc, Work Systems Associates for six years, as well as the Coopers & Lybrand Consulting Group. Before his consulting career he was a CEO, led department task forces, and been the general manager for the Canadian operations of a US multi-national defense electronics manufacturer. Richard is by profession an engineer. He is a graduate of several of the Royal Air Force’s Colleges. Aside from engineering he has studied all aspects of management and leadership.